Sri Lanka ( /sriːˈlɑːŋkə,_ʔˈlæŋkə/ or /ʃriːʔ/; Sinhala: ශ්‍රී ලංකාව, śrī laṃkāva, Tamil: இலங்கை, ilaṅkai), officially the Democratic Socialist Republic of Sri Lanka, is an island country in the northern Indian Ocean off the southern coast of the Indian subcontinent in South Asia; known until 1972 as Ceylon ( /sɪˈlɒnˌ seɪʔˌ siːʔ/), Sri Lanka has maritime borders with India to the northwest and the Maldives to the southwest. Sri Lanka has a documented history that spans over 3,000 years. Its geographic location and deep harbours made it of great strategic importance from the time of the ancient Silk Road through to World War II. Sri Lanka is a diverse country, home to many religions, ethnicities and languages. It is the land of the Sinhalese, Sri Lankan Tamils, Moors, Indian Tamils, Burghers, Malays, Kaffirs and the aboriginal Vedda. Sri Lanka has a rich Buddhist heritage, and the first known Buddhist writings, the Pāli Canon, was committed to writing during the Fourth Buddhist Council in 29 BCE. The country's recent history has been marred by a thirty-year civil war which decisively but controversially ended in a military victory in 2009. Sri Lanka is a republic and a unitary state governed by a presidential system. The capital, Sri Jayawardenepura Kotte, is a suburb of the largest city, Colombo. An important producer of tea, coffee, gemstones, coconuts, rubber, and the native cinnamon, Sri Lanka is known as "the Pearl of the Indian Ocean" because of its natural beauty, its shape and location, and "the nation of smiling people". The island contains tropical forests and diverse landscapes with high biodiversity. In antiquity, Sri Lanka was known to travellers by a variety of names. Known in India as Lanka or Sinhala, ancient Greek geographers called it Taprobane /təˈprɒbəniː/ and Arabs referred to it as Serendib (the origin of the word "serendipity"). Ceilão, the name given to Sri Lanka by the Portuguese when they arrived in 1505, was transliterated into English as Ceylon. As a British crown colony, the island was known as Ceylon; it achieved independence as the Dominion of Ceylon in 1948. In Sinhala the country is known as ශ්‍රී ලංකා śrī laṃkā, IPA: [ʃɾiːˈlaŋkaː], and the island itself as ලංකාව laṃkāva, IPA: [laŋˈkaːʋə]. In Tamil they are both இலங்கை ilaṅkai, IPA: [iˈlaŋɡai]. In 1972 the name was changed to "Free, Sovereign and Independent Republic of Sri Lanka". In 1978 it was changed to the "Democratic Socialist Republic of Sri Lanka". While the name Ceylon still appears in the names of a number of organisations, in 2011 the Sri Lankan government announced a plan to rename all those over which it has authority. Early inhabitants of Sri Lanka were probably ancestors of the Vedda people, an indigenous people numbering approximately 2,500 living in modern-day Sri Lanka. The 19th century Irish historian James Emerson Tennent theorized that Galle, a southern city in Sri Lanka, was the ancient seaport of Tarshish from which King Solomon is said to have drawn ivory, peacocks, and other valuables. According to the Mahāvamsa, a chronicle written in the Pāli language, the ancient period of Sri Lanka begins in 543 BC with the landing of Vijaya, a semi-legendary prince who sailed with 700 followers on eight ships 860 nautical miles to Sri Lanka from the southwest coast of what is now the Rarh region of West Bengal. He established the Kingdom of Tambapanni, near modern day Mannar. Vijaya is the first of the approximately 189 native monarchs of Sri Lanka described in chronicles such as the Dipavamsa, Mahāvamsa, Chulavamsa, and Rājāvaliya (see List of Sri Lankan monarchs). Sri Lankan dynastic history spanned a period of 2,359 years from 543 BC to AD 1815, when the land became part of the British Empire. Sri Lanka was the first Asian country to have a female ruler: Queen Anula, who reigned during 47–42 BC. Sri Lankan monarchs undertook some remarkable construction projects such as Sigiriya, the so-called "Fortress in the Sky", built during the reign of Kashyapa I who ruled between 477 and 495AD. The Sigiriya rock fortress is surrounded by an extensive network of ramparts and moats. Inside this protective enclosure were gardens, ponds, pavilions, palaces and other structures. The 1,600-year-old Sigiriya frescoes are an example of ancient Sri Lankan art at its finest. It is one of the best preserved examples of ancient urban planning in the world. It has been declared by UNESCO as one of the seven World Heritage Sites in Sri Lanka. Among other structures, large reservoirs, important for conserving water in a climate with rainy and dry seasons, and elaborate aqueducts, some with a slope as finely calibrated as one inch to the mile, are most notable. Biso Kotuwa, a peculiar construction inside a dam, is a technological marvel based on precise mathematics that allows water to flow outside the dam, keeping pressure on the dam to a minimum. Ancient Sri Lanka was the first country in the world to establish a dedicated hospital, in Mihintale in the 4th century. It was also the leading exporter of cinnamon in the ancient world. It maintained close ties with European civilisations including the Roman Empire. For example, King Bhatikabhaya (22 BC—AD 7) sent an envoy to Rome who brought back red coral which was used to make an elaborate netlike adornment for the Ruwanwelisaya. In addition, Sri Lankan male dancers witnessed the assassination of Caligula. When Queen Cleopatra sent her son Caesarion into hiding, he was headed to Sri Lanka. Bhikkhuni Devasāra and ten other fully ordained bhikkhunis from Sri Lanka went to China and established the bhikkhuni sāsana there in AD 429. Sri Lanka's irrigation system was extensively expanded during the reign of Parākramabāhu the Great (AD 1153–1186). This period is considered as a time when Sri Lanka was at the height of its power. He built 1470 reservoirs – the highest number by any ruler in the history - repaired 165 dams, 3910 canals, 163 major reservoirs, and 2376 mini reservoirs. His most famous construction is the Parakrama Samudra, the largest irrigation project of medieval Sri Lanka. Parākramabāhu's reign is memorable for two major campaigns – in the south of India as part of a Pandyan war of succession, and a punitive strike against the kings of Ramanna (Myanmar) for various perceived insults to Sri Lanka. By the end of the 19th century, a new educated social class transcending race and caste arose through British attempts to staff the Ceylon Civil Service and the legal, educational, and medical professions. New leaders represented the various ethnic groups of the population in the Ceylon Legislative Council on a communal basis. Buddhist and Hindu revivalism reacted against Christian missionary activities. The first two decades in the 20th century are noted by the unique harmony among Sinhalese and Tamil political leadership, which has since been lost. In 1919, major Sinhalese and Tamil political organisations united to form the Ceylon National Congress, under the leadership of Ponnambalam Arunachalam, pressing colonial masters for more constitutional reforms. But without massive popular support, and with the governor's encouragement for "communal representation" by creating a "Colombo seat" that dangled between Sinhalese and Tamils, the Congress lost momentum towards the mid-1920s. The Donoughmore reforms of 1931 repudiated the communal representation and introduced universal adult franchise (the franchise stood at 4% before the reforms). This step was strongly criticised by the Tamil political leadership, who realised that they would be reduced to a minority in the newly created State Council of Ceylon, which succeeded the legislative council. In 1937, Tamil leader G. G. Ponnambalam demanded a 50–50 representation (50% for the Sinhalese and 50% for other ethnic groups) in the State Council. However, this demand was not met by the Soulbury reforms of 1944-45. 40,000 Tamil civilians may have been killed in the final phases of the Sri Lankan civil war, according to an Expert Panel convened by U.N. Secretary General Ban Ki-moon. The exact number of Tamils killed is still a speculation that needs further study. Following the LTTE's defeat, the Tamil National Alliance, the largest political party in Sri Lanka, dropped its demand for a separate state in favour of a federal solution. The final stages of the war left some 294,000 people displaced. According to the Ministry of Resettlement, most of the displaced persons had been released or returned to their places of origin, leaving only 6,651 in the camps as of December 2011. In May 2010, President Rajapaksa appointed the Lessons Learnt and Reconciliation Commission (LLRC) to assess the conflict between the time of the ceasefire agreement in 2002 and the defeat of the LTTE in 2009. Sri Lanka has emerged from its 26-year war to become one of the fastest growing economies of the world. The country has 103 rivers. The longest of these is the Mahaweli River, extending 335 kilometres (208 mi). These waterways give rise to 51 natural waterfalls of 10 meters or more. The highest is Bambarakanda Falls, with a height of 263 metres (863 ft). Sri Lanka's coastline is 1,585 km long. It claims an Exclusive Economic Zone (EEZ) extending 200 nautical miles, which is approximately 6.7 times the country's land area. The coastline and adjacent waters support highly productive marine ecosystems such as fringing coral reefs and shallow beds of coastal and estuarine seagrasses. Sri Lanka has 45 estuaries and 40 lagoons. The country's mangrove ecosystem, which spans over 7,000 hectares, played a vital role in buffering the force of the waves in the 2004 Indian Ocean tsunami. The island is rich in minerals such as ilmenite, feldspar, graphite, silica, kaolin, mica and thorium. Existence of petroleum in the Gulf of Mannar has also been confirmed and extraction attempts are underway. Ruk Aththana (Allamanda cathartica) is a common flower in Sri Lanka. Current politics in Sri Lanka is a contest between two rival coalitions led by the centre-leftist and progressivist United People's Freedom Alliance (UPFA), an offspring of Sri Lanka Freedom Party (SLFP), and the comparatively right-wing and pro-capitalist United National Party (UNP). Sri Lanka is essentially a multi-party democracy with many smaller Buddhist, socialist and Tamil nationalist political parties. As of July 2011, the number of registered political parties in the country is 67. Of these, the Lanka Sama Samaja Party (LSSP), established in 1935, is the oldest. The UNP, established by D. S. Senanayake in 1946, was until recently the largest single political party. It is the only political group which had representation in all parliaments since independence. SLFP was founded by S. W. R. D. Bandaranaike, who was the Cabinet minister of Local Administration before he left the UNP in July 1951. SLFP registered its first victory in 1956, defeating the ruling UNP in 1956 Parliamentary election. Following the parliamentary election in July 1960, Sirimavo Bandaranaike became the prime minister and the world's first elected female head of state. The Bandaranaike government of 1956 significantly changed the pro-western policies set by the previous UNP government. It recognised Cuba under Fidel Castro in 1959. Shortly afterward, Cuba's revolutionary Ernesto Che Guevara paid a visit to Sri Lanka. The Sirima-Shastri Pact of 1964 and Sirima-Gandhi Pact of 1974 were signed between Sri Lankan and Indian leaders in an attempt to solve the long standing dispute over the status of plantation workers of Indian origin. In 1974, Kachchatheevu, a small island in Palk Strait, was formally ceded to Sri Lanka. By this time, Sri Lanka was strongly involved in the NAM and Colombo held the fifth NAM summit in 1976. The relationship between Sri Lanka and India became tense under the government of J. R. Jayawardene. As a result, India intervened in the Sri Lankan Civil War and subsequently deployed an Indian Peace Keeping Force in 1987. In the present, Sri Lanka enjoys extensive relations with China, Russia and Pakistan. According to the International Monetary Fund, Sri Lanka has a yearly gross domestic output of US$64.9 billion as of 2012. It has a GDP of US$126.8 billion in terms of purchasing power parity. With a nominal value of US$3,138 and a PPP value of US$6,135, Sri Lanka is second only to the Maldives in the South Asian region in terms of per capita income. It recorded a GDP growth of 8.3% in 2011. The Global Competitiveness Report, published by the World Economic Forum, has described Sri Lanka's economy as transitioning from the factor-driven stage to the efficiency-driven stage, and that it ranks 52nd in global competitiveness. Also, out of the 142 countries surveyed, Sri Lanka ranked 45th in health and primary education, 32nd in business sophistication, 42nd in innovation, and 41st in goods market efficiency. Sri Lanka ranks 8th in the World Giving Index, registering high levels of contentment and charitable behaviour in its society. In 2010, The New York Times placed Sri Lanka at the top of its list of 31 places to visit. The Dow Jones classified Sri Lanka as an emerging market in 2010, and Citigroup classified it as a 3G country in February 2011. Sri Lanka ranks well above other South Asian countries in the Human Development Index (HDI) with 0.715 points. Although poverty has reduced by 50% during last five years, malnutrition remains a problem among children. 29% of the children under five years of age are reported to be underweight. Nearly 58% of infants between six and eleven months and 38% of children between twelve and twenty-three months are anaemic. While Dengue remains the major infectious disease, non-communicable diseasees (NCDs) account for 85% of ill health, disability and early death. Sri Lankans have a life expectancy of 77.9 years at birth, which is 10% higher than the world average. The infant mortality rate stands at 8.5 per 1,000 births and the maternal mortality rate at 0.39 per 1,000 births, which is on par with figures from the developed countries. The universal "pro-poor" health care system adopted by the country has contributed much towards these figures. Sri Lanka is the 57th most populated nation in the world, with 20,277,597 people, and an annual population growth rate of 0.73%. Sri Lanka has a birth rate of 17.6 births per 1,000 people and a death rate of 6.2 deaths per 1,000 people. Population density is highest in western Sri Lanka, especially in and around the capital. Sinhalese constitute the largest ethnic group in the country, with 74.88% of the total population. Sri Lankan Tamils are the second major ethnic group in the island, with a percentage of 11.2. Sri Lankan Moors comprise 9.2%. Tamils of Indian origin were brought into the country as indentured labourers by British colonists to work on estate plantations. Nearly 50% of them were repatriated following independence in 1948. They are distinguished from the native Tamil population that has resided in Sri Lanka since ancient times. There are also small ethnic groups such as the Burghers (of mixed European descent) and Austronesian peoples from Southeast Asia. Moreover, there is a small population of Vedda people who are believed to be the original indigenous group to inhabit the island. Islam is the third most dominant religion in the country, having first been brought to the island by Arab traders over the course of many centuries, starting around the 7th century A.D. Most Muslims are Sunni who follow the Shafi'i school. Most followers of Islam in Sri Lanka today are believed to be descendants of these Arab traders and the local women they married. Sri Lanka is currently seeing a significant rise in sectarian attacks against Muslims. Over 90 percent of Muslims throughout the island use Tamil as their mother tongue. Christianity was brought into the country by Western colonists in the early 16th century. Around 7.4% of the Sri Lankan population are Christians, of which 82% are Roman Catholics who trace their religious heritage directly to the Portuguese. The remaining Christians are evenly split between the Anglican Church of Ceylon and other Protestant faiths. There is also a small population of Zoroastrian immigrants from India (Parsis) who settled in Ceylon during the period of British rule, but this community has steadily dwindled in recent years. Religion plays a prominent role in the life and culture of Sri Lankans. The Buddhist majority observe Poya Days each month according to the Lunar calendar, and Hindus and Muslims also observe their own holidays. In a 2008 Gallup poll, Sri Lanka was ranked the third most religious country in the world, with 99% of Sri Lankans saying religion was an important part of their daily life. Officially, the constitution of Sri Lanka guarantees human rights as ratified by the United Nations. However human rights in Sri Lanka have come under criticism by Amnesty International and Human Rights Watch, as well as the United States Department of State. British colonial rulers, the separatist Liberation Tigers of Tamil Eelam (LTTE) and the government of Sri Lanka are accused of violating human rights. A report by an advisory panel to the UN secretary-general has accused both the LTTE and the Sri Lankan government of alleged war crimes during final stages of the civil war. Corruption remains a problem in Sri Lanka, and there is currently very little protection for those who stand up against corruption. UN Human Rights Commissioner Navanethem Pillay visited Sri Lanka in May, 2013. After her visit she said, “The war may have ended [in Sri Lanka], but in the meantime democracy has been undermined and the rule of law eroded.” Pillay spoke about the military’s increasing involvement in civilian life and reports of military land grabbing. She also said that while in Sri Lanka she had been allowed to go wherever she wanted but that Sri Lankans who came to meet her were harassed and intimidated by security forces. The Sri Lanka national cricket team achieved considerable success beginning in the 1990s, rising from underdog status to winning the 1996 Cricket World Cup. They also became the runners up of the Cricket World Cup in 2007, 2011. and of the ICC World Twenty20 in 2009 and 2012. Former Sri Lankan off-spinner, Muttiah Muralitharan has been rated as the greatest Test match bowler ever by Wisden Cricketers' Almanack. Sri Lanka has won the Asia Cup in 1986, 1997, 2004 and 2008. Current world records for highest team score in all three formats of the game are also held by Sri Lanka. The country co-hosted the Cricket World Cup in 1996, 2011 and have hosted the 2012 ICC World Twenty20. They lost to the West Indies by 36 runs. ^ "New Sri Lanka chief justice Mohan Peiris sworn". BBC News. 15 January 2013. http://www.bbc.co.uk/news/world-asia-21022854. Retrieved 27 January 2013. ^ "Census of Population and Housing 2011 Enumeration Stage February – March 2012" (PDF). Department of Census and Statistics – Sri Lanka. http://www.statistics.gov.lk/PopHouSat/CPH2011/Pages/sm/CPH%202011_R1.pdf. ^ a b c d e f "Sri Lanka". International Monetary Fund. http://www.imf.org/external/pubs/ft/weo/2012/01/weodata/weorept.aspx?pr.x=50&pr.y=5&sy=2009&ey=2012&scsm=1&ssd=1&sort=country&ds=.&br=1&c=524&s=NGDPD%2CNGDPDPC%2CPPPGDP%2CPPPPC%2CLP&grp=0&a=. ^ a b "Human Development Report 2013. Human development index trends: Table 1" (PDF). United Nations Development Programme. p. 216. http://hdr.undp.org/en/media/HDR_2013_EN_complete.pdf. ^ ""Sri Lanka" in several reference works". Dictionary.com. http://dictionary.reference.com/browse/Sri+Lanka. ^ "Carnegie Mellon University Pronouncing Dictionary". Carnegie Mellon University. http://www.speech.cs.cmu.edu/cgi-bin/cmudict?stress=-s&in=SRI-LANKA. ^ Roberts, Brian (2006). "Sri Lanka: Introduction". Urbanization and sustainability in Asia: case studies of good practice. ISBN 9789715616072. http://books.google.com/?id=PD8DseEWyuoC&printsec=frontcover. ^ Bandaranayake, Senake (1990). "Sri Lankan Role in the Maritime Silk Route". Sri Lanka and the silk road of the sea. p. 21. ISBN 978-955-9043-02-7. http://books.google.com/books/about/Sri_Lanka_and_the_silk_road_of_the_sea.html?id=xmNuAAAAMAAJ. ^ Domrös, Manfred (1998). Sri Lanka, past and present: Archaeology, Geography, Economics: selected papers on German research. ISBN 978-3-8236-1289-6. http://books.google.com/books?id=xhduAAAAMAAJ. ^ "Vedda". Encyclopædia Britannica. http://www.britannica.com/EBchecked/topic/624466/Vedda. ^ Jack Maguire (1 June 2001). Essential Buddhism: A Complete Guide to Beliefs and Practices. Simon and Schuster. pp. 69–. ISBN 978-0-671-04188-5. http://books.google.com/books?id=62KQpPX1oVkC&pg=PA69. "... the Pali Canon of Theravada is the first known collection of Buddhist writings ..."
^ "Religions – Buddhism: Theravada Buddhism". BBC. 2 October 2002. http://www.buddhanet.net/e-learning/dharmadata/fdd16.htm. ^ Reuters Sri Lanka wins civil war, says kills rebel leader. www.reuters.com (18 May 2009). Retrieved on 2012-11-18. ^ "Cinnamon". Encyclopædia Britannica: Cinnamon. Encyclopædia Britannica. 2008. "(species Cinnamomum zeylanicum), bushy evergreen tree of the laurel family (Lauraceae) native to Bangladesh, Sri Lanka (Ceylon), the neighboring Malabar Coast of India, and Myanmar (Burma), and also cultivated in South America and the West Indies for the spice consisting of its dried inner bark. The bark is widely used as a spice due to its distinct odor." ^ "Sri Lanka's Way Forward: The Imperative to Foster Civic Engagement, Dialogue, and Reconciliation among Youth". Center for International Private Enterprise. http://www.cipe.org/featureservice/?p=23. ^ Abeydeera, Ananda. "In Search of Taprobane: the Western discovery and mapping of Ceylon". http://www.rootsweb.com/~lkawgw/slm-taprobane.htm. ^ "Sri Lanka — The Pearl of the Orient". Metropolis. ^ Rajasingham, K. T.. "Sri Lanka: The untold story". Asia Times. ^ Zubair, Lareef. "Etymologies of Lanka, Serendib, Taprobane and Ceylon". Archived from the original on 22 April 2007. http://web.archive.org/web/20070422115208/http://www.glue.umd.edu/~pkd/sl/facts/name_origin.html. ^ "Chapter I — The People, The State And Sovereignty". The Constitution of the Democratic Socialist Republic of Sri Lanka. ^ Haviland, Charles (1 January 2011). "Sri Lanka erases colonial name, Ceylon". BBC. http://www.bbc.co.uk/news/world-south-asia-12099596. ^ Deraniyagala, Siran U.. "Pre and Protohistoric settlement in Sri Lanka". International Union of Prehistoric and Protohistoric Sciences. http://www.lankalibrary.com/geo/dera1.html. ^ "Pahiyangala (Fa-Hiengala) Caves". angelfire.com. http://www.angelfire.com/in4/visitsl/prehistoric/pahiyagala/pahiyangala.htm. ^ Kennedy, Kenneth A. R., Disotell, T. W., Roertgen, J., Chiment, J., Sherry, J.. Ancient Ceylon 6: Biological anthropology of upper Pleistocene hominids from Sri Lanka: Batadomba Lena and Beli Lena caves. pp. 165–265. ^ Keshavadas, Sant (1988). Ramayana at a Glance. Motilal Banarsidass. ISBN 81-208-0545-3. ^ "Ravana – historical or mythical figure?". The Sunday Observer. 2009. http://www.sundayobserver.lk/2009/11/15/spe06.asp. ^ "Early Man and the Rise of Civilisation in Sri Lanka: the Archaeological Evidence". lankalibrary.com. http://www.lankalibrary.com/geo/dera2.html. ^ "The Great Chronicle of Sri Lanka". The Mahavamsa. http://mahavamsa.org/. ^ "Vijaya and the Lankan Monarchs – Family #3000". Ancestry.com. http://www.rootsweb.ancestry.com/~lkawgw/gen3000.html. ^ "World Heritage site: Anuradhapura". worldheritagesite.org. http://www.worldheritagesite.org/sites/anuradhapura.html. ^ "Waterworld: Ancient Sinhalese Irrigation". mysrilankaholidays.com. http://mysrilankaholidays.com/ancient-sinhalese-irrigation.html. ^ "Buddhism in Sri Lanka: A Short History". accesstoinsight.org. http://www.accesstoinsight.org/lib/authors/perera/wheel100.html#preface. ^ Holt, John Clifford (2004). "Sri Lanka". In Buswell, Robert E., Jr.. Macmillan Encyclopedia of Buddhism. USA: Macmillan Reference USA. pp. 795–799. ISBN 978-0-8160-5459-6. ^ a b "King Devanampiya Tissa (306 BC – 266 BC)". Mahavamsa. http://mahavamsa.org/2008/05/king-devanampiya-tissa-306-bc/. ^ "Buddhism in Sri Lanka". buddhanet.net. http://www.buddhanet.net/e-learning/buddhistworld/lanka-txt.htm. ^ "Historical trees: Overlooked aspect of heritage that needs a revival of interest". Daily Mirror. http://print.dailymirror.lk/features/139-feature/38344.html. ^ "Ruvanveli Seya – The Wonderous Stupa Built by Gods and Men". beyondthenet.net. p. 4. http://www.beyondthenet.net/Saddha/ruvan.pdf. ^ "Distortion of history for political purposes". Ancestry.com. http://www.rootsweb.ancestry.com/~lkawgw/usurpation.html. ^ Sarachchandra, B. S. (1977) (in Sinhala). අපේ සංස්කෘතික උරුමය [Our Cultural Heritage]. Silva, V. P.. pp. 121–122. ^ "The History of Ceylon". sltda.gov.lk. http://www.sltda.gov.lk/history. ^ Ponnamperuma, Senani (2013). Story of Sigiriya. Melboune: Panique Pty Ltd. ISBN 9780987345110. ^ Bandaranayake, Senake (1999). Sigiriya : city, palace, and royal gardens. Colombo: Central Cultural Fund, Ministry of Cultural Affairs. ISBN 9789556131116. ^ "Exploring Sigiriya Rock". AsiaExplorers.com. http://www.asiaexplorers.com/srilanka/sigiriya.htm. ^ "The water regulation technology of ancient Sri Lankan reservoirs: The Bisokotuwa sluice". slageconr.net. p. 1. http://www.slageconr.net/slsnet/9thicsls/individual/abs164.pdf. ^ "Hospitals in ancient Sri Lanka". lankalibrary.com. http://www.lankalibrary.com/geo/hospitals.htm. ^ Weerakkody, DPM. "Sri Lanka and the Roman Empire". Peradeniya University. p. 23. http://www.dlib.pdn.ac.lk:8080/jspui/bitstream/123456789/3125/1/D.P.M.%20Weerakkody%20-%20Modern%20Sri%20Lanka%20Studies%20Vol.%20II%20Nos.%20I%20%26%20II%20-%201987.pdf. Retrieved 26 November 2012. "The commentator to the Muhiivamsa says that Bhatika Abhaya, in the course of his lavish offerings to the Mahathupa, 'sent to the country of Romanukha across the sea and got down red coral and had a perfect net of coral made, suitable to be cast over, (the chetiya).'" ^ "International relations in ancient and medieval Sri Lanka". Flickr. http://www.flickr.com/photos/menik/2208629145/. ^ Codrington, H.W. (1926). A Short History of Ceylon. London: Macmillan & Co.. ISBN 978-0-8369-5596-5. OCLC 2154168. http://lakdiva.org/codrington/chap04.html. ^ Lambert, Tim. "A Brief History of Sri Lanka". localhistories.org. http://www.localhistories.org/srilanka.html. ^ Bokay, Mon (1966). Relations between Ceylon and Burma in the 11th Century AD. p. 93. http://www.jstor.org/pss/1522637. ^ "Ancient Irrigation Works". lakdiva.org. http://lakdiva.org/coins/medievallanka/1153_1186_parakramabahu~i_Em.html. ^ R. B. Herath (2002). Sri Lankan Ethnic Crisis: Towards a Resolution. Trafford Publishing. p. 19. ISBN 978-1-55369-793-0. "Parakramabahu 1 further extended the system to the highest resplendent peak of hydraulic civilization of the country's history." ^ Journal of the Royal Asiatic Society of Great Britain and Ireland: Volume 7. Cambridge: Cambridge University Press for the Royal Asiatic Society. 1875. p. 152. http://books.google.com/books?id=rPo78i8KrlEC&q. "... and when at the height of its prosperity, during the long and glorious reign of Parakramabahu the Great ..."
^ The Annals and magazine of natural history: zoology, botany, and geology, Volume 1. New Jersey: Princeton University. 1894. p. 324. http://books.google.com/?id=VRngAAAAMAAJ. "His [Parakramabahu's] reign is described by Tumour as having been the most martial, enterprising, and glorious in Singhalese history." ^ a b R. B. Herath (2002). Sri Lankan Ethnic Crisis: Towards a Resolution. Trafford Publishing. pp. 18–21. ISBN 978-1-55369-793-0. ^ "Parakrama Samudra". International Lake Environment Committee. http://www.ilec.or.jp/database/asi/asi-45.html. ^ "ParakramaBahu I: 1153–1186". lakdiva.org. http://srilankanheritage.com/index.php?option=com_content&view=article&id=28&Itemid=32&lang=en. ^ Jayasekera, P. V. J. (1992). Security dilemma of a small state, Part 1. Peradeniya: Institute for International Studies University of Peradeniya, Sri Lanka. p. 25. ISBN 978-81-7003-148-2. http://books.google.com/?id=VRngAAAAMAAJ. "..His invasion in 1215 was more or less a looting expedition.."
^ Gnanaprakasar, Swamy (2003). A Critical History of Jaffna. New Delhi: Asian Educational Services. p. 122. ISBN 81-206-1686-3. ^ Holt, John Clifford (1991). Buddha in the Crown: Avalokitesvara in the Buddhist Traditions of Sri Lanka. Oxford University Press. p. 304. ISBN 0-19-506418-6. ^ "The Kotte Dynasty and its Portuguese allies". Coddrington, Humphry. http://lakdiva.org/codrington/chap06.html. ^ "Sri Lanka History". Thondaman Foundation. http://www.thondaman.org/srilankanhistory.html. ^ "King Wimaladharmasuriya". S. B. Karalliyadde – The Island. http://www.island.lk/2005/08/27/satmag1.html. ^ Anthonisz, Richard Gerald (2003). The Dutch in Ceylon: an account of their early visits to the island, their conquests, and their rule over the maritime regions during a century and a half. Asian Educational Services. pp. 37–43. ISBN 978-81-206-1845-9. http://books.google.com/books?id=h2mkUharg6AC. ^ Bosma, U. (2008). "1". Being "Dutch" in the Indies: a history of creolisation and empire, 1500–1920. University of Michigan. ISBN 978-0-89680-261-2. http://books.google.com/books?id=47wCTCJX9X4C. ^ a b c "A kingdom is born, a kingdom is lost". The Sunday Times. http://sundaytimes.lk/070304/KandyTimes/514_kt1.html. ^ Dharmadasa, K. N. O. (1992). Language, Religion, and Ethnic Assertiveness: The Growth of Sinhalese Nationalism in Sri Lanka0. University of Michigan Press. pp. 8–12. ISBN 978-0-472-10288-4. ^ "The first English occupation and the definitive Dutch surrender". colonialvoyage.com. http://www.colonialvoyage.com/eng/asia/sri_lanka/trincomalee/history_8.html. ^ a b "History of Sri Lanka and significant World events from 1796 AD to 1948". scenicsrilanka.com. http://www.scenicsrilanka.com/history-of-sri-lanka-1948.html. ^ "Keppetipola and the Uva Rebellion". lankalibrary.com. http://www.lankalibrary.com/geo/keppetipola2.htm. ^ "Gongale Goda Banda (1809–1849) : The leader of the 1848 rebellion". Wimalaratne, K. D. G.. http://www.lankalibrary.com/geo/gongalegoda.htm. ^ Lennox A. Mills (1964). Ceylon Under British Rule, 1795–1932. Psychology Press. p. 246. http://books.google.com/books?id=YyHG9ZKl3bwC&pg=PA246. ^ Bond, George D. (1992). The Buddhist revival in Sri Lanka: Religious tradition, reinterpretation and response. Motilal Banarsidass Publications. pp. 11–22. ISBN 978-81-208-1047-1. http://books.google.com/books?id=Q11ID2xfqD8C. ^ "Cutting edge of Hindu revivalism in Jaffna". Balachandran, P. K.. 25 June 2006. http://www.tamilweek.com/Cutting_edge_hindu_revivalism_0625.html. ^ a b "Chronology of events related to Tamils in Sri Lanka (1500–1948)". Hellmann-Rajanayagam, Dagmar. National University of Malaysia. http://tamilelibrary.org/teli/slhist.html. ^ "Sinhalese Parties". Library of Congress Country Studies. http://countrystudies.us/sri-lanka/21.htm. ^ "Sinhalese Parties". Library of Congress Country Studies. http://countrystudies.us/sri-lanka/68.htm. ^ "Bandaranaike and Hartal of 1953". The Island. http://www.island.lk/2008/08/16/satmag1.html. ^ Ganguly, Šumit (2003). Brown, Michael E.. ed. Fighting Words: language policy and ethnic relations in Asia. The MIT Press. pp. 136–138. ISBN 978-0-262-52333-2. http://books.google.com/?id=fcoDezu1ABoC. ^ Schmid, Bettina; Schroeder, Ingo, ed (2001). Anthropology of Violence and Conflict. Routledge. p. 185. ISBN 978-0-415-22905-0. http://books.google.com/?id=Rx-1MdUlzaUC. ^ a b c "Sri Lanka Profile". BBC News. 5 November 2013. http://www.bbc.co.uk/news/world-south-asia-12004081. ^ Peebles, Patrick (30 August 2006). The History of Sri Lanka. Greenwood Press. pp. 109–111. ISBN 978-0-313-33205-0. http://books.google.com/books?id=SxO0eISluqEC. ^ University of Edinburgh. "Staff profile: Jonathan Spencer". http://www.sps.ed.ac.uk/staff/social_anthropology/spencer_jonathan. ^ "Sri Lanka: The untold story – Assassination of Bandaranaike". Rajasingham, K. T.. Asia Times. 2002. http://www.atimes.com/ind-pak/Cl01Df05.html. ^ De Silva, K. M. (July 1997). "Affirmative Action Policies: The Sri Lankan Experience". International Center for Ethnic Studies. pp. 248–254. http://www.ices.lk/publications/esr/articles_jul97/Esr-kmdesilva.PDF. ^ Jayasuriya, J. E. (1981). Education in the Third World. Pune: Indian Institute of Education. OCLC 7925123. ^ Taraki Sivaram (May 1994). "The Exclusive Right to Write Eelam History". Tamil Nation. http://tamilnation.co/forum/sivaram/940508eelam_history.htm. ^ Rohan Gunaratna (December 1998). "International and Regional Implications of the Sri Lankan Tamil Insurgency". http://212.150.54.123/articles/articledet.cfm?articleid=57. ^ Rajasingham, K. T. (2002). "Tamil militancy – a manifestation". http://www.atimes.com/ind-pak/DA26Df04.html. ^ a b "Sri Lanka – an Overview". Fulbright commission. http://www.fulbrightsrilanka.com/?page_id=561. ^ "The Black July 1983 that Created a Collective Trauma". Jayatunge, Ruwan M.. LankaWeb. 2010. http://www.lankaweb.com/news/items/2010/04/27/the-black-july-1983-that-created-a-collective-trauma/. ^ "LTTE: the Indian connection". Sunday Times. 1997. http://sundaytimes.lk/970119/plus4.html. ^ "Uppermost in our minds was to save the Gandhis' name". Express India. 1997. http://www.expressindia.com/ie/daily/19971212/34650923.html. ^ "For firmer and finer International Relations". Wijesinghe, Sarath. Sri Lanka Guardian. http://www.srilankaguardian.org/2009/07/for-firmer-and-finer-international.html. ^ Stokke, K.; Ryntveit, A.K. (2000). "The Struggle for Tamil Eelam in Sri Lanka". A Journal of Urban and Regional Policy 31 (2): 285–304. DOI:10.1111/0017-4815.00129. ^ Gunaratna, Rohan (1998). Sri Lanka's Ethnic Crisis and National Security. Colombo: South Asian Network on Conflict Research. p. 353. ISBN 955-8093-00-9. ^ a b "Chapter 30: Whirlpool of violence, Sri Lanka: The Untold Story". Asia Times. 2002. http://www.atimes.com/ind-pak/DC09Df04.html. ^ "WSWS.org". WSWS.org. 29 December 2005. http://www.wsws.org/articles/2005/dec2005/sri2-d29.shtml. ^ "Sri Lankan TV broadcasts 'video of body of Tamil Tiger leader' as President declares the country liberated from terrorism". Daily Mail (London). 20 May 2009. http://www.dailymail.co.uk/news/article-1183961/Sri-Lankan-TV-broadcasts-video-body-Tamil-Tiger-leader-President-declares-country-liberated-terrorism.html. ^ Weaver, Matthew; Chamberlain, Gethin (19 May 2009). "Sri Lanka declares end to war with Tamil Tigers". The Guardian (London). http://www.guardian.co.uk/world/2009/may/18/tamil-tigers-killed-sri-lanka. ^ "Up to 100,000 killed in Sri Lanka's civil war: UN". ABC Australia. 20 May 2009. http://www.abc.net.au/news/stories/2009/05/20/2576543.htm. ^ Olsen, Erik. "Sri Lanka". New York Time. http://topics.nytimes.com/top/news/international/countriesandterritories/srilanka/index.html?scp=1-spot&sq=sri%20lanka&st=cse. ^ "40,000 Tamil civilians killed in final phase of Lanka war, says UN report". Hindustan Times. 25 April 2011. http://www.hindustantimes.com/world-news/SriLanka/40-000-Tamil-civilians-killed-in-final-phase-of-Lanka-war-says-UN-report/Article1-689575.aspx. ^ Haviland, Charles (13 March 2010). "Sri Lanka Tamil party drops statehood demand". BBC. http://news.bbc.co.uk/2/hi/south_asia/8566114.stm. ^ Burke, Jason (14 March 2010). "Sri Lankan Tamils drop demand for separate independent homeland". The Guardian (London). http://www.guardian.co.uk/world/2010/mar/14/tamils-drop-calls-for-separate-state. ^ "Sri Lanka ready for the challenge". The Sunday Observer. 20 March 2011. http://www.sundayobserver.lk/2011/03/20/fea01.asp. ^ "Sri Lanka's displaced face uncertain future as government begins to unlock the camps". Amnesty International. 11 September 2009. http://www.amnesty.org/en/news-and-updates/news/sri-lanka-displaced-uncertain-future-government-unlock-camps-20090911. ^ "Situation Report as of 15-12-2011". Ministry of Resettlement in Sri Lanka: p. 2. 15 December 2011. http://www.resettlementmin.gov.lk/download/SituationReport%2015.12.2011.pdf. ^ "Sri Lanka: President appoints Lessons Learnt and Reconciliation Commission". ReliefWeb. 17 May 2010. http://reliefweb.int/node/354905. ^ "Sri Lankan commission: Civilians weren't targeted". Associated Press/CBS News. 16 December 2011. http://www.cbsnews.com/8301-501712_162-57344039/sri-lanka-war-commission-rules-out-willful-attacks/. ^ "The 15 Fastest-Growing Economies in the World". Business Insider. http://www.businessinsider.com/countries-with-the-fastest-growing-gdp-in-the-world-2011-10#sri-lanka-7. ^ "Lanka among fastest growing millionaire populations – report". 24 June 2011. http://www.sundayobserver.lk/2011/07/03/oostory.asp?sid=20110624_01&imid=SO.jpg&dt=%5BJune%2024%202011%5D. ^ Ali, Jason R.; Aitchison, Jonathan C. (2005). "Greater India". Earth-Science Reviews 72 (3–4): 170–173. DOI:10.1016/j.earscirev.2005.07.005. ^ "Geographic Coordinates for Sri Lanka Towns and Villages". jyotisha.00it.com. http://jyotisha.00it.com/Lankaco.htm. ^ "Gods row minister offers to quit". BBC. 15 September 2007. http://news.bbc.co.uk/2/hi/south_asia/6996621.st. ^ Garg, Ganga Ram (1992). "Adam's Bridge". Encyclopaedia of the Hindu World. A-Aj. New Delhi: South Asia Books. p. 142. ISBN 978-81-261-3489-2. ^ "Ramar Sethu, a world heritage centre?". Rediff.com. http://www.rediff.com/news/2007/jul/04spec.htm. ^ "Climate & Seasons: Sri Lanka". mysrilanka.com. http://www.mysrilanka.com/travel/theland/climate.htm. ^ "Sri Lanka Rainfall". mysrilanka.com. http://www.mysrilanka.com/travel/theland/rainfall.htm. ^ "Sri Lanka Climate Guide". climatetemp.info. http://www.climatetemp.info/sri-lanka/. ^ "Introducing Sri Lanka". Lonely Planet. http://www.lonelyplanet.com/sri-lanka. ^ a b "Depletion of coastal resources". United Nations Environment Programme. p. 86. http://www.rrcap.unep.org/pub/soe/srilanka_coastal.pdf. ^ "5 Coral Reefs of Sri Lanka: Current Status And Resource Management". Food and Agriculture Organization. http://www.fao.org/docrep/X5627E/x5627e09.htm. ^ "Information Brief on Mangroves in Sri Lanka". International Union for Conservation of Nature. http://www.elanguages.org/files/144094. ^ "Sri Lanka Graphite Production by Year". indexmundi.com. 2009. http://www.indexmundi.com/minerals/?country=lk&product=graphite&graph=production. ^ "Availability of sizeable deposits of thorium in Sri Lanka". Tissa Vitharana. Asian Tribune. 2008. http://www.asiantribune.com/node/13747. ^ "Three Dimensional Seismic Survey for Oil Exploration in Block SL-2007-01-001 in Gulf of Mannar-Sri Lanka". Cairn Lanka. 2009. pp. iv–vii. http://www.prds-srilanka.com/pdfs/Sri_Lanka_Seismic_EIA_Final_Report.pdf. ^ "Sri Lanka Survey Finds More Elephants Than Expected". Voice of America. 2 September 2011. http://www.voanews.com/english/news/asia/Sri-Lanka-Survey-Finds-More-Elephants-Than-Expected-129086673.html. ^ "Environment Sri Lanka". www.environmentlanka.com. http://www.environmentlanka.com/. ^ "An interview with Dr. Ranil Senanayake, chairman of Rainforest Rescue International". news.mongabay.com. http://news.mongabay.com/2006/1106-interview_ranil.html. ^ "Ecotourism Sri Lanka". www.environmentlanka.com. http://www.environmentlanka.com/ecotour.php. ^ "Forests, Grasslands, and Drylands-- Sri Lanka". p. 4. http://earthtrends.wri.org/pdf_library/country_profiles/for_cou_144.PDF. ^ "Sri Lanka". UNESCO. 1 September 2006. http://www.unesco.org/mabdb/br/brdir/directory/contact.asp?code=SRL. ^ "Minneriya National Park". www.trabanatours.com. http://trabanatours.com/locations/minneriya/. ^ "Kumana National Wildlife Park". www.srilankaecotourism.com. http://www.srilankaecotourism.com/kumana_national_park.htm. ^ "Forests of Sri Lanka". srilankanwaterfalls.net. http://www.srilankanwaterfalls.net/about/forests.htm. ^ "Sri Lanka". Sri Lanka. MSN Encarta Encyclopedia. http://encarta.msn.com/encyclopedia_761568352_2/sri_lanka.html. ^ "The Constitution of Sri Lanka – Contents". Parliament of Sri Lanka. http://www.parliament.lk/handbook_of_parliament/leaders_of_house.jsp. ^ Kanapathipillai, Valli (2009). Citizenship and Statelessness in Sri Lanka: The Case of the Tamil Estate Workers. India: Anthem Press. p. 187. ISBN 978-1-84331-791-3. http://books.google.com/books?id=QI7HNNa48WMC. "DS Senanayake, as the leader of the UNP and the first prime minister of Sri Lanka, wore the robes of a "constitutionalist" who peacefully pressured the British for constitutional rights"
^ "Political Parties in Sri Lanka". Department of Election, Sri Lanka. July 2011. http://www.slelections.gov.lk/pp.html. ^ "Sri Lanka's oldest political party". Daily News. 18 December 2010. http://www.dailynews.lk/2010/12/18/fea01.asp. ^ a b "UNP: The Story of the Major Tradition". unplanka.com. http://www.unplanka.com/. ^ a b "Charting a new course for Sri Lanka's success". Daily News. 16 November 2009. http://www.dailynews.lk/2009/11/16/fea03.asp. ^ "Ceylon chooses world's first woman PM". BBC. 20 July 1960. http://news.bbc.co.uk/onthisday/hi/dates/stories/july/20/newsid_2784000/2784527.stm. ^ Society of Jesus in India (1946). New review, Volume 23. India: Macmillan and co. ltd.. p. 78. http://books.google.com/books?id=m4Y9AAAAYAAJ&q. ^ Lakshman, W. D. and Tisdell, Clem (2000). Sri Lanka's development since independence: socio-economic perspectives and analyses. New York: Nova Publishers. p. 80. ISBN 978-1-56072-784-2. http://books.google.com/books?id=MLqmdDp3l0oC. ^ a b c "Sri Lanka: Post Colonial History". Lanka Library. http://www.lankalibrary.com/geo/postcolonial_history.htm. ^ "Sri Lanka Tamil National Alliance denies having talks with Buddhist prelates". Asian Tribune. 24 February 2011. http://www.asiantribune.com/news/2011/02/24/sri-lanka-tamil-national-alliance-denies-having-talks-buddhist-prelates. ^ "Revolutionary Idealism and Parliamentary Politics". Asia-Pacific Journal of Social Sciences. December 2010. p. 139. http://socialsciences-ejournal.org/SP%2012.%20Shathasiri.pdf. ^ "Sri Lankan Muslims: Between ethno-nationalism and the global ummah". Dennis B. McGilvray. Association for the Study of Ethnicity and Nationalism. January 2011. http://www.sangam.org/2011/02/SL_Muslims.php?uid=4258. ^ "Chapter 1 – The People, The State and Sovereignty". The Official Website of the Government of Sri Lanka. http://www.priu.gov.lk/Cons/1978Constitution/Chapter_01_Amd.html. ^ "The Executive Presidency". The Official Website of the Government of Sri Lanka. http://www.priu.gov.lk/execpres/Indexep.html. ^ "The Constitution of Sri Lanka – Contents". The Official Website of the Government of Sri Lanka. 20 November 2003. http://www.priu.gov.lk/Cons/1978Constitution/CONTENTS.html. ^ "Presidential Immunity". constitution.lk. http://www.constitution.lk/static_pages/view/26. ^ "The 18th Amendment to the Constitution: Process and Substance". groundviews.org. 2 September 2010. http://groundviews.org/2010/09/02/the-18th-amendment-to-the-constitution-process-and-substance/. ^ "Evolution of the Parliamentary System". Parliament of Sri Lanka. http://www.parliament.lk/about_us/evolution.jsp. ^ a b "The Legislative Power of Parliament". Parliament of Sri Lanka. http://www.parliament.lk/functions/legislative_power.jsp. ^ "Sri Lanka public administration". United Nations Public Administration Network. p. 2. http://unpan1.un.org/intradoc/groups/public/documents/un/unpan023242.pdf. ^ "Background Note: Sri Lanka". United States Department of State. http://www.state.gov/r/pa/ei/bgn/5249.htm. ^ "Sri Lanka Society & Culture: Customs, Rituals & Traditions". lankalibrary.com. http://www.lankalibrary.com/rit.html. 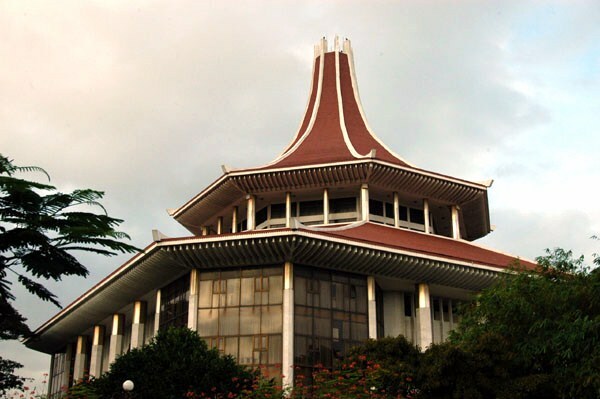 ^ "The Constitution of Sri Lanka – Eighth Schedule". Priu.gov.lk. http://www.priu.gov.lk/Cons/1978Constitution/Schedle_8_Amd.html. ^ "The Constitution of Sri Lanka – First Schedule". Priu.gov.lk. http://www.priu.gov.lk/Cons/1978Constitution/Schedle_1_Amd.html. ^ a b "Provincial Councils". The Official Website of the Government of Sri Lanka. 3 September 2010. http://www.priu.gov.lk/ProvCouncils/ProvicialCouncils.html. ^ "Lanka heads for collision course with India: Report". Indian Express. 12 June 2011. http://www.indianexpress.com/news/lanka-heads-for-collision-course-with-india/802524/. ^ "Accepting reality and building trust". Jehan Perera. peace-srilanka.org. 14 September 2010. http://www.peace-srilanka.org/index.php?option=com_content&view=article&id=296:accepting-reality-and-building-trust&catid=1:latest&Itemid=121. ^ "North-East merger illegal: SC". LankaNewspapers.com. 17 October 2006. http://www.lankanewspapers.com/news/2006/10/8947.html. ^ "North East De-merger-At What Cost? Update No.107". Hariharan, R.. southasiaanalysis.org. 19 October 2010. http://southasiaanalysis.org/%5Cnotes4%5Cnote344.html. ^ "District Secretariats Portal". District an Divisional Secretariats. http://www.ds.gov.lk/dis_sec/dis_eng/District_Secretariats.php. ^ "List of Codes for the Administrative Divisions of Sri Lanka 2001". Department of Census and Statistics. p. 3. http://www.statistics.gov.lk/GNcode/introduction.pdf. ^ a b "Foreign Relations". Library of Congress Country Studies. http://countrystudies.us/sri-lanka/74.htm. ^ "Colombo Plan at 57". Colombo Plan. http://www.colombo-plan.org/viewPressContent.php?id=93&page=4. ^ "Sri Lanka excels at the San Francisco Peace Conference". The Island. 7 September 2009. http://pdfs.island.lk/2009/09/07/p12.pdf. ^ "Lanka-China bilateral ties at its zenith". The Sunday Observer. 3 October 2010. http://www.sundayobserver.lk/2010/10/03/fea02.asp. ^ "Bandung Conference of 1955 and the resurgence of Asia and Africa". The Daily News. 21 April 2005. http://www.dailynews.lk/2005/04/21/fea01.htm. ^ "'Lanka-Cuba relations should be strengthened'". The Daily News. 14 January 2004. http://www.dailynews.lk/2004/01/14/new24.html. ^ "29 October 1964". Pact.lk. http://pact.lk/29-october-1964/. ^ "Statelessness abolished?". cope.nu. http://www.cope.nu/show.asp?NewsID=170&DocType=News. ^ "India-Sri Lanka: 1921 Conference On Fisheries And Ceding Of Kachchatheevu – Analysis". Albany Tribune. 22 August 2011. http://www.albanytribune.com/india-sri-lanka-1921-conference-on-fisheries-and-ceding-of-kachchatheevu-%E2%80%93-analysis-22082011/. ^ "NAM Golden Jubilee this year". The Sunday Observer. 10 July 2011. http://www.sundayobserver.lk/2011/07/10/fea02.asp. ^ 08.html "Indo-Sri Lankan Security Perceptions: Divergences and Convergences". idsa-india.org. http://www.idsa-india.org/an-may 08.html. ^ Weisman, Steven R. (5 June 1987). "India airlifts aid to tamil rebels". New York Times. http://query.nytimes.com/gst/fullpage.html?sec=health&res=9B0DE0D8173FF936A35755C0A961948260&n=Top%2fNews%2fWorld%2fCountries%20and%20Territories%2fIndia. ^ "Sri Lanka: Background and U.S. Relations". Federation of American Scientists. p. 6. http://www.fas.org/sgp/crs/row/RL31707.pdf. ^ "Russia and Sri Lanka to strengthen bilateral relations". Asian Tribune. http://www.asiantribune.com/news/2010/02/09/russia-and-sri-lanka-strengthen-bilateral-relations. ^ "World leaders send warm greeting to Sri Lanka on Independence Day". Asian Tribune. http://www.asiantribune.com/news/2011/02/04/world-leaders-send-warm-greeting-sri-lanka-independence-day. ^ "CIA World Factbook: Sr Lanka". Central Intelligence Agency. 16 August 2011. https://www.cia.gov/library/publications/the-world-factbook/geos/ce.html. ^ International Institute for Strategic Studies (3 February 2010). Hackett, James. ed. The Military Balance 2010. London: Routledge. pp. 370–371. ISBN 978-1-85743-557-3. ^ "Conscription (most recent) by country". NationMaster. http://www.nationmaster.com/graph/mil_con-military-conscription. ^ "Sri Lanka coast guard sets up bases". Lanka Business Online. 10 August 2009. http://www.lankabusinessonline.com/fullstory.php?nid=507417129. ^ "Coast Guard bill passed in Parliament". Sri Lanka Ministry of Defence. 7 October 2009. http://defence.lk/new.asp?fname=20090710_04. ^ "How Sri Lanka's military won". BBC. 22 May 2009. http://news.bbc.co.uk/2/hi/8063409.stm. ^ Doucet, Lyse (13 November 2012). "BBC News - UN 'failed Sri Lanka civilians', says internal probe". Bbc.co.uk. http://www.bbc.co.uk/news/world-asia-20308610. Retrieved 10 September 2013. ^ "LTTE defeated; Sri Lanka liberated from terror". Sri Lanka Ministry of Defence. 18 May 2009. http://www.defence.lk/new.asp?fname=20090518_10. ^ "The latest 'horror drama'". Sri Lanka Ministry of Defence. 22 May 2009. http://defence.lk/new.asp?fname=20100522_09. ^ "UN Mission's Summary detailed by Country – March 2012". United Nations. April 2012. p. 33. http://www.un.org/en/peacekeeping/contributors/2012/March12_3.pdf. ^ "Central Bank of Sri Lanka Annual Report 2011 – Key Economic Indicators". Central Bank of Sri Lanka. http://www.cbsl.gov.lk/pics_n_docs/10_pub/_docs/efr/annual_report/AR2011/English/3_KEI.pdf. ^ "Echoes of a Plantation Economy". historyofceylontea.com. http://www.historyofceylontea.com/articles/tea_feat_echoes_plantation_economy.html. ^ "The Strategic Importance of Sri Lanka to Australia". asiapacificdefencereporter.com. http://www.asiapacificdefencereporter.com/articles/53/The-Strategic-Importance-of-Sri-Lanka-to-Australia. ^ a b c d e f g h i j "Annual Report 2010". Ministry of Finance – Sri Lanka. 2011. http://www.treasury.gov.lk/reports/annualreport/AnnualReport2010-eng.pdf. ^ "Country Partnership Strategy" (PDF). Asian Development Bank. October 2008. p. 1. http://www.adb.org/Documents/CPSs/SRI/2008/CPS-SRI-2009-2011.pdf. ^ "65th Independence Day of India celebrates in Sri Lanka". InfoLanaka. August 2011. http://www.infolanka.com/news/IL/1521.htm. ^ "Western Province share of national GDP falling: CB". Sunday Times. 17 July 2011. http://sundaytimes.lk/110717/BusinessTimes/bt24.html. ^ "Sri Lanka's Northern province has recorded the highest GDP growth rate of 22.9 per cent last year". Asian Tribune. 18 July 2011. http://www.asiantribune.com/news/2011/07/18/sri-lanka%E2%80%99s-northern-province-has-recorded-highest-gdp-growth-rate-229-cent-last-yea. ^ "Sri Lanka Tea Board". worldteanews.com. http://www.worldteanews.com/page.cfm/Action=Exhib/ExhibID=98. ^ "Per capita income has doubled". tops.lk. May 2011. http://www.tops.lk/article35231-parliament-per-capita-income-has-doubled.html. ^ "Inequality drops with poverty". Department of Census and Statistics. p. 3. http://www.statistics.gov.lk/poverty/PovertyIndicators2009_10.pdf. ^ "Saarc: Sri Lanka Takes a Lead". voicendata.ciol.com. 31 August 2011. http://voicendata.ciol.com/content/top_stories/111083007.asp. ^ Schwab, Klaus (2011). "The Global Competitiveness Report 2011–2012": 326–327. ^ "Australia and New Zealand top World Giving Index'". BBC. 8 September 2010. http://www.bbc.co.uk/news/world-europe-11220564. ^ "The 31 Places to Go in 2010". The New York Times. 24 January 2010. http://www.nytimes.com/2010/01/10/travel/10places.html. ^ Joe Weisenthal (22 February 2011). "3G Countries". Businessinsider.com. http://www.businessinsider.com/willem-buiter-3g-countries-2011-2?slop=1. ^ "Explaining HDI value and rank changes in Human Development Report 2010". UNDP. p. 2. http://hdrstats.undp.org/images/explanations/LKA.pdf. ^ "Malnutrition: The situation". UNICEF. http://www.unicef.org/srilanka/activities_1667.htm. ^ "Sri Lanka dengue eradication push". BBC. 9 July 2009. http://news.bbc.co.uk/2/hi/south_asia/8138917.stm. ^ "Tackling Non-Communicable Diseases in Sri Lanka". World Bank. http://www.worldbank.lk/WBSITE/EXTERNAL/COUNTRIES/SOUTHASIAEXT/SRILANKAEXTN/0,,contentMDK:22839556~menuPK:232812~pagePK:2865066~piPK:2865079~theSitePK:233047,00.html. ^ "Our Pro-poor health care policy rewarded". The Island. http://www.island.lk/2008/05/31/features1.html. ^ "Universal Health Care". quickoverview.com. http://www.quickoverview.com/issues/universal-healthcare-system.html. ^ "Southern Expressway". Road Development Authority. http://www.rda.gov.lk/supported/expressways/stdp.htm. ^ "Colombo_Katunayaka Expressway". Road Development Authority. http://www.rda.gov.lk/supported/expressways/cke.htm. ^ "Statistics – Sri Lanka Railways". Ministry of Transport Sri Lanka. http://www.transport.gov.lk/web/index.php?option=com_content&view=article&id=128&Itemid=114&lang=en. ^ F_493 (28 November 2012). "Sri Lanka's first satellite launched from China - People's Daily Online". English.peopledaily.com.cn. http://english.peopledaily.com.cn/90883/8037611.html. Retrieved 8 January 2014. ^ "China to launch Sri Lanka's first satellite". Tamilguardian.com. 18 November 2012. http://www.tamilguardian.com/article.asp?articleid=6335. Retrieved 8 January 2014. ^ Sirilal, Ranga (27 November 2012). "China launches Sri Lanka's first satellite as India watches ties grow". Reuters. http://www.reuters.com/article/2012/11/27/us-srilanka-satellite-china-idUSBRE8AQ0HO20121127. Retrieved 8 January 2014. ^ "Population ranking". World Bank. http://data.worldbank.org/data-catalog/Population-ranking-table. ^ "Population growth (annual %)". World Bank. http://data.worldbank.org/indicator/SP.POP.GROW. ^ "Sri Lanka Census of Population and Housing, 2011 – Population by Ethnicity". Department of Census and Statistics, Sri Lanka. 20 April 2012. http://www.statistics.gov.lk/PopHouSat/CPH2011/Pages/Activities/Reports/cph2011Pub/pop42.pdf. ^ "Official Languages Commission". http://www.languagescom.gov.lk/about_us.htm. ^ "How unique is Sri Lanka Malay?". Peter Bakker. Max Planck Institute for Evolutionary Anthropology. http://www.eva.mpg.de/lingua/conference/10-slm2010/pdf/How_unique_is_Sri_Lanka_Malay.pdf. ^ "Sri Lanka". International Religious Freedom Report 2007. Bureau of Democracy, Human Rights, and Labor. 14 September 2007. http://www.state.gov/g/drl/rls/irf/2007/90234.htm. ^ a b c "Theravada: Buddhism in Sri Lankan". Buddhanet.net. http://www.buddhanet.net/e-learning/buddhistworld/lanka-txt.htm. ^ a b "Theravada Buddhism and Shan/Thai/Dai/Laos Regions Boxun News". Peacehall.com. 28 March 2005. http://www.peacehall.com/news/gb/english/2005/03/200503280400.shtml. ^ "The Constitution of Sri Lanka: Chapter II – Buddhism". http://www.priu.gov.lk/Cons/1978Constitution/Chapter_02_Amd.html. "The Republic of Sri Lanka shall give to Buddhism the foremost place and accordingly it shall be the duty of the State to protect and foster the Buddha Sasana, while assuring to all religions the rights granted by Articles 10 and 14(1)(e)"
^ "Hinduism in Sri Lanka". Discoversrilanka.com. http://www.discoversrilanka.com/religion/Hindu.php. ^ "Lankan Muslims' historical links with India". Indianmuslims.info. http://www.indianmuslims.info/history_of_muslims_in_india/lankan_muslims_historical_links_with_india.html. ^ "The hardline Buddhists targeting Sri Lanka's Muslims". BBC. 25 March 2013. http://www.bbc.co.uk/news/world-asia-21840600. ^ "Sri Lanka Census of Population and Housing, 2011 – Population by Religion". Department of Census and Statistics, Sri Lanka. 20 April 2012. http://www.statistics.gov.lk/PopHouSat/CPH2011/Pages/Activities/Reports/cph2011Pub/pop43.pdf. ^ Young, R. F. and Sēnānāyaka, J. E. B. (1998). The carpenter-heretic: a collection of Buddhist stories about Christianity from the 18th century Sri Lanka. Colombo: Karunaratne & Sons.. ISBN 978-955-9098-42-3. ^ "Sri Lanka – Christianity". Mongabay. http://www.mongabay.com/history/sri_lanka/sri_lanka-christianity.html. ^ "The Parsi Community of Sri Lanka". Ancestry.com. http://www.rootsweb.ancestry.com/~lkawgw/parsiintro.htm. ^ "Sri Lankan Parsis facing extinction?". The Sunday Times. http://sundaytimes.lk/000910/plus5.html. ^ "What Alabamians and Iranians Have in Common". The Gallup Organization. 9 February 2009. http://www.gallup.com/poll/114211/Alabamians-Iranians-Common.aspx. ^ a b "Radio Ceylon/Sri Lanka Broadcasting Corporation: The history of broadcasting in Sri Lanka". Sri Lanka Broadcasting Corporation. p. 1. http://www.slbceng.org/pdf/Radio%20Ceylon-Sri%20Lanka%20Broadcasting%20Corporation.pdf. ^ "Sri Lanka Press, Media, TV, Radio, Newspapers". Pressreference.com. http://www.pressreference.com/Sa-Sw/Sri-Lanka.html. ^ "Media under fire: Press freedom lockdown in Sri Lanka". International Press Freedom and Freedom of Expression Mission to Sri Lanka. pp. 5–6. http://www.i-m-s.dk/files/publications/1400%20Sri%20Lanka_web.v4.pdf. ^ Jansz, Frederica (8 July 2012). "Gota goes beserk". Sunday Leader. http://www.thesundayleader.lk/2012/07/08/gota-goes-berserk/. Retrieved 24 November 2012. ^ "Chronicle of a death foretold". The Economist. 15 January 2009. http://www.economist.com/node/12932312. Retrieved 24 November 2012. ^ Wickramasinghe, Lasantha (11 January 2009). "And then they came for me". Sunday Leader. http://www.thesundayleader.lk/20090111/editorial-.htm. Retrieved 25 November 2012. ^ "Amnesty International — Sri Lanka Human Rights Reports". Amnesty International. http://www.amnesty.org/en/region/sri-lanka. ^ "Sri Lanka: Country Report on Human Rights Practices". United States Department of State. 23 February 2001. http://www.state.gov/g/drl/rls/hrrpt/2000/sa/index.cfm?docid=704. ^ Keerthisinghe, Lakshman I. (2013). "The British duplicity in protecting human rights in Sri Lanka". Daily Mirror. http://www.dailymirror.lk/opinion/172-opinion/28002-the-british-duplicity-in-protecting-human-rights-in-sri-lanka.html. Retrieved 21 October 2013. ^ "Report of the Secretary – General's Panel of Experts on Accountability in Sri Lanka". United Nations. 31 March 2011. p. 71. http://www.un.org/News/dh/infocus/Sri_Lanka/POE_Report_Full.pdf. ^ "L'ONU a caché l'ampleur des massacres au Sri Lanka". Lemonde.fr. http://www.lemonde.fr/asie-pacifique/article/2009/05/28/sri-lanka-l-onu-a-cache-l-ampleur-des-massacres_1199091_3216.html. Retrieved 26 February 2013. ^ "Business Corruption in Sri Lanka". Business Anti-Corruption Portal. http://www.business-anti-corruption.com/country-profiles/south-asia/sri-lanka/business-corruption-in-sri-lanka.aspx. Retrieved 8 April 2014. ^ United Nations, Human Rights Council Nineteenth session. "Report of the Working Group on Enforced or Involuntary Disappearances". UN. pp. 3,113. http://www.ohchr.org/Documents/HRBodies/HRCouncil/RegularSession/Session19/A-HRC-19-58-Rev1_en.pdf. Retrieved 24 November 2012. "'The original mandate derives from Commission on Human Rights resolution 20 (XXXVI) of 29 February 1980','Since its establishment, the Working Group has transmitted 12,460 cases to the Government; of those, 40 cases have been clarified on the basis of information provided by the source, 6,535 cases have been clarified on the basis of information provided by the Government, 214 cases were found to be duplications and were therefore deleted, and 5,671 remain outstanding.'" ^ Disappearances in Sri Lanka (14 January 2012). "Murky business: People are disappearing—and the government has been accused". The Economist. http://www.economist.com/node/21542827. Retrieved 24 November 2012. ^ "UN Human Rights Commissioner: ‘democracy has been undermined’ in Sri Lanka". GlobalPost. 31 August 2013. http://www.globalpost.com/dispatch/news/regions/asia-pacific/130831/un-human-rights-commissioner-democracy-has-been-undermined. Retrieved 10 September 2013. ^ "BBC News - UN's Navi Pillay attacks Sri Lanka human rights record". Bbc.co.uk. 31 August 2013. http://www.bbc.co.uk/news/world-asia-23899082. Retrieved 10 September 2013. ^ "Sri Lankan culture and history". reddottours.com. http://www.reddottours.com/53/culture-and-history-activity-profile.htm. ^ a b "Pre-Colonial Sri Lankan History". panix.com. http://www.panix.com/~kendra/tea/precolonial_history.html. ^ Jayakody, Padmini. Simply Sri Lankan. Australia: Lulu.com. p. 3. ISBN 978-1-4092-1942-2. ^ "Dr. Lester James Peiris, Father of Sri Lankan Cinema, celebrates 90th Birthday". Asian Tribune. http://asiantribune.com/?q=node/16540. ^ "Kandyan dance". Encyclopædia Britannica. http://www.britannica.com/EBchecked/topic/310955/Kandyan-dance. ^ "Dance of Sri Lanka". lanka.com. http://www.lanka.com/sri-lanka/dance-and-drama-of-sri-lanka-104.html. ^ "History of painting and sculpture in Sri Lanka". lankalibrary.com. http://lankalibrary.com/phpBB/viewtopic.php?t=3128. ^ "The Sinhala Theatre of Sri Lanka: A Form of Political Discourse". artsrilanka.org. http://www.artsrilanka.org/essays/theatre/index.html. ^ a b c d "A survey of Sinhalese poetry from ancient times to the modern period". lankalibrary.com. http://www.lankalibrary.com/books/sinhala8.htm. ^ "Challenge to Buddha Jayanthi Stamp Selection Board". The Island. http://www.island.lk/2006/05/31/opinion6.html. ^ "Martin Wickramasinghe: An icon of world intellectual heritage". The Daily News. http://www.dailynews.lk/2010/07/23/fea01.asp. ^ Gunawardena, Chandra (1997). "Problems of Illiteracy in a Literate Developing Society: Sri Lanka". International Review of Education 43 (5/6): 595–609. DOI:10.1023/A:1003010726149. ^ "Sri Lanka – literacy rate". indexmundi.com. http://www.indexmundi.com/facts/sri-lanka/literacy-rate. ^ a b "Govt targets 75% computer literacy rate by 2016". The Daily News. http://www.dailynews.lk/2011/07/29/cdnstory.asp?sid=20110705_01. ^ "Sri Lanka – Statistics". UNICEF. http://www.unicef.org/infobycountry/sri_lanka_statistics.html. ^ De Silva, K.M. (1981). A Short History of Sri Lanka. Los Angeles: University of California Press. p. 472. ISBN 0-520-04320-0. ^ "Honouring the Father of Free Education". The Daily News. http://www.dailynews.lk/2009/06/08/fea26.asp. ^ "Who was "Father" of free education in Sri Lanka? : C.W.W. Kannangara or A. Ratnayake?". Trans Currents. http://transcurrents.com/tc/2009/10/who_was_father_of_free_educati.html. ^ "Education: Traditional and Colonial Systems". Library of Congress Country Studies. http://countrystudies.us/sri-lanka/46.htm. ^ "Sri Lanka University Statistics 2010". University Grants Commission. p. 3. http://www.ugc.ac.lk/downloads/statistics/stat_2010/Chapter1.pdf. ^ "Facing Global and Local Challenges: The New Dynamics for Higher Education – Sri Lanka Country Report". UNESCO. pp. 3–4. http://portal.unesco.org/geography/fr/files/10905/12353682765Sri_Lanka.pdf/Sri%2BLanka.pdf. ^ "Educational Indicators 1980–2009". University Grants Commission (Sri Lanka). http://www.ugc.ac.lk/en/statistics/educational-indicators.html. ^ "Private University Bill". Sri Lanka University News. http://www.lankauniversity-news.com/2012/01/sri-lanka-university-news-sri-lanka.html. ^ Gurusinghe, Nimal (2 October 2008). "Can Sri Lanka form an invincible cricket team?". The Daily News. http://www.dailynews.lk/2008/10/02/spo12.asp. ^ "Rugby: Sri Lanka, Asia's little-known rugby haven". Dawn. 25 May 2011. http://www.dawn.com/2011/05/25/rugby-sri-lanka-asias-little-known-rugby-haven.html. ^ Selvey, Mike (18 March 1996). "Sri Lanka light up the world". The Guardian (London). http://sport.guardian.co.uk/cricketworldcup2007/story/0,,2016636,00.html. ^ ESPNcricinfo. "Final: Australia v Sri Lanka at Bridgetown, Apr 28, 2007". http://www.cricinfo.com/ci/engine/current/match/247507.html. ^ Sheringham, Sam (2 April 2011). "India power past Sri Lanka to Cricket World Cup triumph". BBC. http://news.bbc.co.uk/sport2/hi/cricket/9444277.stm. ^ McGlashan, Andrew (21 June 2009). "Afridi fifty seals title for Pakistan". ESPNcricinfo. http://www.espncricinfo.com/wt202009/content/story/410042.html. ^ "Murali 'best bowler ever'". BBC Sport (London). 13 December 2002. http://news.bbc.co.uk/sport2/hi/cricket/2572069.stm. ^ "John Player Gold Leaf Trophy (Asia Cup) 1985/86 (Final)". cricketarchive.co.uk. 6 April 1986. http://www.cricketarchive.co.uk/Archive/Scorecards/47/47039.html. ^ Thawfeeq, Sa'adi. "Pepsi Asia Cup, 1997–98". ESPNcricinfo. http://www.espncricinfo.com/wisdenalmanack/content/story/151650.html. ^ Vasu, Anand (1 August 2004). "Sri Lanka win the Asia Cup". ESPNcricinfo. http://www.espncricinfo.com/ci/content/story/134815.html. ^ "Asia Cup 2008". ESPNcricinfo. 6 July 2008. http://www.espncricinfo.com/asiacup/content/current/series/298014.html. ^ "Sri Lanka National Cricket Team". exzoon.com. http://www.exzoon.com/sri_lanka_national_cricket_team.html. ^ "Duncan White – the greatest Sri Lankan athlete". The Daily News. 12 June 2008. http://www.dailynews.lk/2008/06/12/spo09.asp. ^ "Athlete Susanthika Jayasinghe". olympic.org. http://www.olympic.org/susanthika-jayasinghe. ^ "LKY's prejudice". Daily Mirror. 7 June 2010. http://print.dailymirror.lk/editorial/106-editorial/12395.html. ^ "Kitesurf Sri Lanka". kitesurfingsrilanka.com. http://www.kitesurfingsrilanka.com/. ^ "Sri Lankan martial arts". sinhalaya.com. http://www.sinhalaya.com/srilankatravelguide/ac_martial_arts_lanka.php. De Silva, K. M. (1981). A history of Sri Lanka. University of California Press. ISBN 978-0-520-04320-6. http://books.google.com/books?id=dByI_qil26YC. Nubin, Walter (2002). Sri Lanka: Current issues and historical background. Nova Publishers. ISBN 978-1-59033-573-4. http://books.google.com/books?id=Iudi2JJLaUAC. Corea, Gamani and Kelegama, Saman (2004). Economic policy in Sri Lanka: Issues and debates. SAGE. ISBN 978-0-7619-3278-9. http://books.google.com/books?id=vTOJiGQ2mLIC. "Theri Sanghamitta and the Bodhi Tree". Paw, Maung. usamyanmar.net. http://www.usamyanmar.net/Buddha/Article/The%20Theri%20Arahant%20Sanghamitta.pdf. Brow, James (1978). Vedda villages of Anuradhapura: The historical anthropology of a community in Sri Lanka. Seattle: University of Washington Press. ISBN 9551772679. Codrington, H. W. (1994). A Short History of Ceylon. New Delhi: Reprint. Asian Educational Services. ISBN 978-0-8369-5596-5. Chandra Richard, De Silva (1987). Sri Lanka — A History. New Delhi: Reprint. Asian Educational Services. ISBN 978-0-7069-9899-3. Deegalle, Mahinda (2006). Buddhism, Conflict and Violence in Modern Sri Lanka. London: Routledge. ISBN 0-415-35920-1. Devendra, Tissa (1996). Sri Lanka: The Emerald Island. New Delhi: Roli Books. ISBN 978-81-7437-066-2. Domroes, Manfred (2006). After the Tsunami: Relief and rehabilitation in Sri Lanka. New Delhi: Mosaic Books. ISBN 978-81-85399-20-1. Gilbert, Philippe (2005). Les Larmes de Ceylan. France: Ed. des Equateurs. ISBN 978-2-84990-023-9. Gunaratne, Shelton A. (1975). "The Taming of the Press in Sri Lanka". Johnson, B. L. C. (1981). Sri Lanka Land, People and Economy. London: Heinemann Educational Books Ltd.. ISBN 978-0-435-35489-3. Mendis, G.C. (1963). "Ceylon Today and Yesterday: main currents of Ceylon history". Perera, Nihal (1999). Decolonizing Ceylon: Colonialism, Nationalism and the Politics of Space in Sri Lanka. Oxford: Oxford University Press. ISBN 978-0-19-564643-6. Sedere, Upali M. (2005). "Context of Educational Reforms Then and Now: 121st C. W. W. Kannangara Memorial Address". Smith, Vincent A. (1958). The Oxford History of India. Oxford: Oxford University Press. ISBN 978-0-19-561297-4. Mahavamsa an ancient Sri Lankan chronicle written in 6th century. This page uses content from the English language Wikipedia. The original content was at Sri Lanka. The list of authors can be seen in the page history. As with this Familypedia wiki, the content of Wikipedia is available under the Creative Commons License.